Save the date for the 25th annual Arizona Culinary Hall of Fame on Monday, March 28th. Presented by Scottsdale League for the Arts, this year’s star-studded soiree is going to be the biggest and best year yet with five newly added award categories! Local TV news personality, Jamie Cerreta, will emcee the evening’s ceremony bringing an upbeat elegance to the festivities. 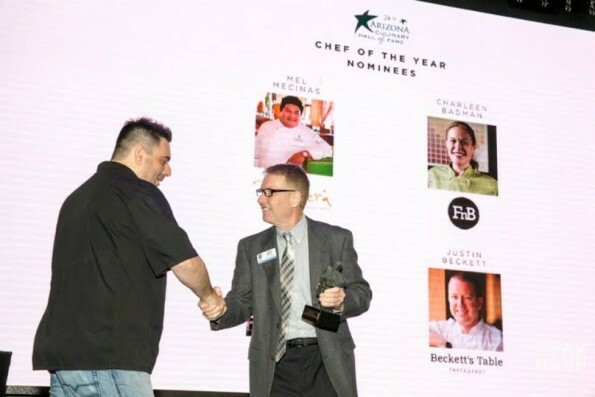 The 2016 Arizona Culinary Hall of Fame promises to be a fun, food-filled cocktail party and award ceremony celebrating the best and brightest in the Valley’s food and beverage industry. Tickets to the 25th annual Arizona Culinary Hall of Fame are $25 and include small bites and one cocktail. A cash bar will be available. The event will take place from 6:30-8:30 p.m. at Livewire AZ, 7320 E Indian Plaza, Scottsdale, AZ, 85251. For more information, visit: http://scottsdalefest.org/. All winners will be announced live at the Arizona Culinary Hall of Fame on Monday, March 28, 2016. For more information and to purchase tickets, visit www.scottsdalefest.org.